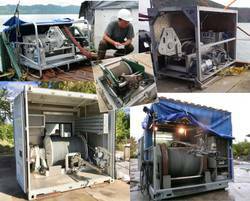 Our downhole logging infrastructure is optimized for slimhole logging conditions. It is available as service only. Some equipment for big holes on request.